In order to provide prospective students with the best chance at having a great education, we have compiled this list of the top universities and colleges in Wisconsin. Some schools may excel at online programs while others may focus exclusively on the traditional, on-campus aspect of higher education. Regardless of the delivery format, these schools excel at providing a quality education for their students. With a booming economy and lower unemployment rate, companies are looking for qualified candidates to join their business. Thanks to the rise in employment, graduate and postgraduate education have risen in attendance from students in recent years. Working full-time employees and stay-at-home parents may consider continuing their studies through some of the best online colleges in Wisconsin. The greatest online programs in Wisconsin feature some of the best associate, bachelor, master and doctorate degrees. Wisconsin promotes many different initiatives to entice students to consider online learning. Wisconsin is part of the Midwest Student Exchange Program (MSEP), which permits students from Kansas, Indiana, Michigan, Illinois, Minnesota, Missouri, Nebraska, and North Dakota to go to participating Wisconsin schools at a reduced rate. As a result, many online colleges in Wisconsin are highly accessible and up-to-date. Wisconsin’s demonstrated commitment to making distance learning more accessible and technologically innovative makes online college a worthwhile investment for many. Online degrees in Wisconsin provide the same level of quality as in the classroom. As part of our list of greatest online and on-campus programs, we look at the quality of the program, graduation rate, job placement, and tuition costs. The graduation rate is the student’s ability graduate within four years of starting school. Each of these qualities helps determine how well a student will succeed by enrolling in a Wisconsin college. Note: Tuition costs are an average rate for the schools. Individual programs are subject to higher rates. Please the check school website to get an exact tuition rate. UW-Stevens Point enrolls more than 9,000 students and is one of the larger colleges in Wisconsin. Students and alumni are located all over the United States. The University of Wisconsin-Green Bay has a variety of degrees for adults including bachelor degrees, masters degrees, and certificates. Areas of focus include applied studies, arts, business administration, and psychology. Online learning at UW-Green Bay is highly interactive and an engaging experience for students and faculty alike. The UW–Green Bay is a public university located in Green Bay, Wisconsin, United States. The school is part of the University of Wisconsin System and offers both bachelor’s and master’s degrees. The University of Wisconsin-River Falls is in the University of Wisconsin System. UW-River Falls offers two online bachelor’s degrees in health and wellness management and sustainable management. As a member of the UW-school system, online courses rely on resources from other UW universities. Both of its programs can start at any time, and students can attend part- or full-time. The school enforces students to have an associate degree or at least 60 credits of college. UW–River Falls is a liberal arts university located in River Falls, Wisconsin. It is part of the Minneapolis-St. Paul metropolitan area. The University of Wisconsin-Whitewater has online graduate and undergraduate degrees available for its students. Students can choose from areas such as business, media, education, and law enforcement. There are four graduate degrees available in Environmental Safety and Health, Business Administration (MBA), Library Media, and Alternative Education Programs. Six degrees in business, marketing, liberal studies, political science, law enforcement, and early childhood education are available for undergraduates. UW-Whitewater started in 1868 and joined the UW system in 1971. The university is a four-year, co-educational, residential college that enrolls about 22,000 students. 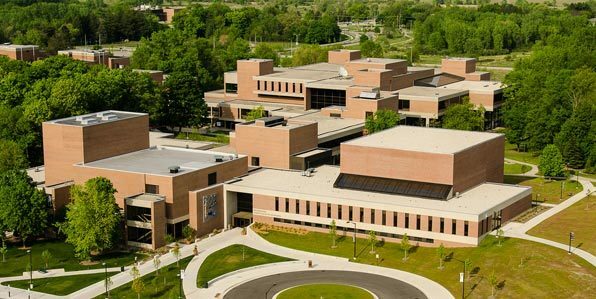 The University of Wisconsin-Platteville provides five master’s degrees online in engineering, organizational change leadership, project management, integrated supply chain management, and criminal justice. Bachelor’s degrees are open in business administration and criminal justice. Professional certificates are also available at the undergraduate and graduate level. Most online programs take about two years to complete. UW-Platteville is one of the longest-running Wisconsin online colleges to offer distance education services for over 35 years. The University of Wisconsin-La Crosse is the second school from the University of Wisconsin System. UW-La Crosse has several bachelors and graduates degrees entirely online. Degrees in health, business, education, and available at the bachelor, master’s, and doctorate level. Professional certificate programs are also available. Online students follow the same pattern as on-campus classes. The UW-La Crosse began in 1909. It was one of the state’s first teacher training schools. The university enrolls around 10,000 students at any given time and offers over 100 areas of study. The University of Wisconsin-Eau Claire provides some degree options for its students. The schools offer a BSN@Home degree for nurses who would like to return to school and earn a bachelor’s degree in nursing. Six graduate programs are available in science, education, business administration (MBA), and other degrees. Distance-learning courses run three to 16 weeks, and most programs are available asynchronously. The UW-Eau Claire began in 1916. The university has over 300 acres of land and offers some Bachelor’s and Master’s degrees. The campus consists of 28 major buildings. The University of Wisconsin-Oshkosh offers a variety of degree programs for adult students. Students can major in aviation management, criminal justice, fire and emergency response management, and other programs. Graduate students can enroll in data science, public administration, and sustainable management. The University of Wisconsin Oshkosh is the third-largest university in Wisconsin, United States. The University of Wisconsin System has UW-Oshkosh. The school provides bachelor, master, and doctoral degrees for its 13,000+ students. The University of Wisconsin-Parkside offers graduate programs, completion programs, flexible options, certificates, and non-credit online courses. Graduate programs are available in business administration (MBA), health and wellness management, and sustainable management. The completion programs require students to have an associate degree or an unfinished 4-year degree. Completion programs include business administration, sociology, and sustainable management. The University of Wisconsin–Parkside is a four-year public university located in the city of Somers. The University is one of the many members of the University of Wisconsin System. The school has around 5,000 students and 125 full-time faculties. The University of Wisconsin-Madison offers online master’s level degrees, capstone certificates and non-credit personal enrichment and professional development courses. Capstone certificate programs are graduate-level certificate programs for master’s degree students and working employees, with a broad range of subjects, ranging from psychiatric mental health nursing to international politics and practice. Several courses are open on campus and the online format. Students can follow a hybrid plan, which has both online and on-campus courses. Also, part-time enrollment, accelerated courses, evening and weekend class are options. UW–Madison is a public research university in Madison. The university enrolls over 43,000 students and has nearly 400 programs for students. The University of Wisconsin-Stout offers online degrees for undergraduates, graduates, and postgraduates. Certificates and certifications are also available for students. A few of the online programs have a blended delivery, meaning students have some on-campus work required. Areas of focus include technical education, marketing, management, and family and consumer sciences. The University of Wisconsin-Stout is the first of many schools in the University of Wisconsin System. This particular university enrolls over 10,000 students. Located in Menomonie, the school began in 1891. Maranatha Baptist University Online offers four online bachelor’s programs, six associate degrees and three master’s programs, including seminary. We offer generous discounts to many of our students, including High School Dual Enrollment, Military Discount, and Senior (55+); as well as a wide range of FAFSA Financial Aid options. Courses are open in 8, 12, or 16-week sessions. Most of our online classes have an 18 person cap to keep class interactions personal and engaging. Maranatha is accredited under the Academic Quality Improvement Program (AQIP) of the Higher Learning Commission. AQIP emphasizes quality planning and process evaluation as keys to a successful, strong educational institution. 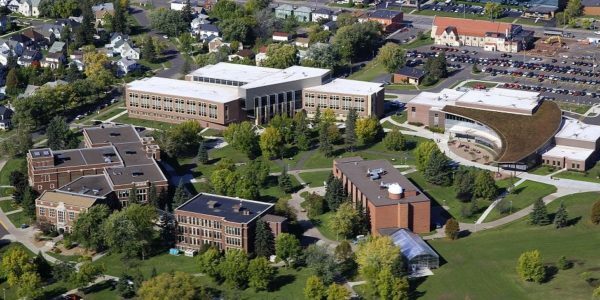 MBU is a Baptist school in Watertown, Wisconsin, offering a full array of degrees, including business management, accounting, and sports management. The campus has over 13,000 students. Herzing University provides associate degrees, bachelors degrees and masters degrees for professionals and students looking to further their education through an online platform. Offering a broad range of course and degree options, students learn at their own pace through the use of the online courses. The University offers degrees including Business, Healthcare, Legal Studies, Technology, Nursing, and Public Safety. Herzing University is a private college. Beginning in 1965 as a computer training institute, Herzing quickly took ground and expanded the degree options to the students of the area. The school currently provides classes for over thousands of students. With 11 on-site campuses and online division, they provide plenty of continuing education options. Ottawa University-Milwaukee has approximately 30 online programs in both undergraduate and graduate areas. Courses ranging from nursing, history, finance, and education are available at both levels. Students can transfer up to 80 credit hours towards their degree requirements. OU-Milwaukee has locations in other parts of the United States. The online program is available for each location. Located in Brookfield, OU-Milwaukee is just west of Milwaukee and began in the fall of 1992. The University of Wisconsin – Superior offers some online programs for its students. Graduate programs are available in education, health and wellness management, data science, and sustainable management. Undergraduate degrees in management, communication arts, health, education, and exercise science are open to students. Minors are also available online for students interested. UW-Superior has an average of 600 online students each semester. The entire study body is above 2,500 students on average. Viterbo University offers many different undergraduate online degree programs in traditional areas. Students have access to free online tutoring through Smarthinking services and one-on-one appointments for math, writing, and other content. Online courses are in an accelerated eight-week format, and many programs take about two years. Online students may attend part- or full-time and benefit from personalized advising services. Viterbo University is a private Roman Catholic, Franciscan school in La Crosse, Wisconsin. Starting in 1890, today, the liberal arts university has over 70 undergraduate degree programs. The University of Wisconsin-Milwaukee offers more than 40 degree and certification programs online with a program in community engagement, education, and business. Also, UW-Milwaukee offers an exclusive online GER program for students who want to take all 60 of their general classes online. A few programs have a flex option for students who attend campus. UW-Milwaukee is a research university, and it is the largest university in the Milwaukee metropolitan area and a member of the University of Wisconsin System. Lakeland University is a graduate and undergraduate school that offers degrees for traditional and nontraditional students. The fourteen-week BlendEd® courses allow students to complete homework online or in class from week to week depending on their location, schedule, and other commitments. Ten undergraduate majors are available in areas like accounting, computer science, criminal justice, and psychology. Master’s degrees are open in counseling, business administration (MBA), and education. Lakeland University is a liberal arts college located west of Howards Grove in Herman. The university enrolls around 3,000 students each year. Wisconsin Lutheran highlights an accelerated BS in business management and leadership. Students can finish in around 20 months. Certificates are available in online teaching, learning, and coaching. A recent survey of program alumni found that 60 percent of WLC graduates were given promotions while enrolled in the program for BS in business management. WLU is in Milwaukee and currently enrolls about 1,200 students on its on-campus and online programs. Wisconsin Lutheran’s mission statement is to prepare students for professional careers and to serve as Christian leaders. Marian University offers its many undergraduate and graduate programs through the online platform. These programs include Business Administration, Criminal Justice, RN-BSN, Homeland Security, Community Health and Human Services, Psychology, Nurse Educator Certificate, Special Education, and Educational Technology. The university offers over 15 different programs. Formally known as the Marian College of Fond du Lac, it is a Roman Catholic liberal arts university that is in Fond du Lac, Wisconsin. Beginning in 1936, MU provides the tools for students to succeed. The school has 200 staff, and around 2,000 students enrolled each semester. However, they have an active degree program, offering numerous major and minors to students. At Concordia University-Wisconsin, students considering online colleges in Wisconsin can choose from over 40 degrees and certificates in more than ten fields at CUW. The university is one of the greatest online programs thanks to its number of online programs and graduation rate. Programs include business administration, nursing, criminal justice, theology, and counseling. The school accepts up to 90 undergraduate credits from a 4-year school and up to 70 credits from a 2-year school for transfers. Military and work-related credits are also accepted. Also, individual programs can be mixed online and on campus for completion like the BS in Nursing. Concordia University-Wisconsin is a private liberal arts college in Mequon, Wisconsin. The school is part of the Lutheran Church-Missouri Synod system in Wisconsin. The school has about 100 programs ranging from minors to doctoral programs. Marquette University is the only school not to offer degrees entirely online. We included the school because it has some courses that are available online for students. It’s a possibility to go through most courses without visiting campus, but ultimately students will have to attend classes on campus to finish out a degree. MU began back in 1881. Located in Milwaukee, the school has over 100 majors and minors to choose from its 11 different colleges. Founded in 1851, Ripon College is a private, not-for-profit liberal arts college located in Ripon, Wisconsin. Ripon allows students to work with faculty mentors to design their own major. Offering over 40 undergraduate programs, Ripon allows students to take undergraduate research or do their coursework online. All students are required to complete the Catalyst Curriculum, in which students take two seminars in their first and second year, an applied innovation seminar in their junior year, and participate in a team project in order to complete the program. Northland College is one of the few greatest online programs that doesn’t offer bachelor and graduate degrees to its students. As a technical school, Northland offers certificates and associate degrees. Over 20 programs are available in business and entrepreneurship, health and human services, liberal arts and sciences, and manufacturing. Northland College is a liberal arts college. It is in Ashland, Wisconsin. The school began as the North Wisconsin Academy in 1892 but changed to a university in 1906. Edgewood College provides a broad area of online classes and courses for students to take away from campus. The online platform permits students to work at their own time and their own pace. They offer some programs in Business, Doctorate in Educational Leadership, Teacher License in English or Bilingual, and Doctorate of Nursing Practice in Leadership. Edgewood College is a liberal arts college in the religious sector of Catholicism. Located in Madison, Wisconsin, EC is near the banks of Lake Wingra and sits on 55 acres of land. Cardinal Stritch University has a select number of programs completely available online. Two master’s programs and four undergraduate programs are open online. Those include Master of Business Administration, M.S. in Educational Leadership, B.S. in Respiratory Therapy Completion, B.S. in Business Administration, RN to BSN, and B.S. in Management. Cardinal Stritch began in 1937 and is a Franciscan University. Part of the college’s values detail the embracing of diversity and welcoming students of all different faiths and spiritual backgrounds. The list draws from the greatest online and on-campus programs around Wisconsin. The combination of job placement, faculty experience, the success of graduates in their fields, number of online programs (if applicable), graduation rate, options for financial aid and overall quality of program based on student feedback determines each school’s evaluation and rank. See our methodology page for more details. We invite schools featured on our list or not highlighted to reach out for possible inclusion in an updated version of our greatest online and on-campus programs in Wisconsin. We’re constantly looking to recognize top-tier institutions.